John Murtha has died. And his district is about to. By last summer, it was obvious that John Murtha did not have much time left in Congress. This was partly due to the efforts of Washington ethics cops and Western Pennsylvania Republicans, both of whom had spent the past few years working feverishly, through either judicial or electoral means, to remove him from office. But more than that, there was the simple matter of Murtha’s health. At 77 years old, he’d begun to show obvious signs of deterioration—from increasingly frequent verbal gaffes (like calling his part of Pennsylvania “a racist area”) to physical ones, such as the spill he took while visiting injured troops at Walter Reed. When Murtha died Monday at the age of 77, due to complications stemming from gallbladder surgery, it was sad, but hardly shocking, news. Unless, that is, you lived in Murtha’s hometown of Johnstown, Pennsylvania. When I visited there last summer, I found that the only thing deeper than the floodwaters that had thrice destroyed the rust belt city was the denial of its residents that Murtha’s 36 years on Capitol Hill were nearing an end. They expressed unswerving confidence that their congressman could not only defy the laws of man—by forever frustrating the efforts of those trying to unseat him—but the laws of nature, as well. 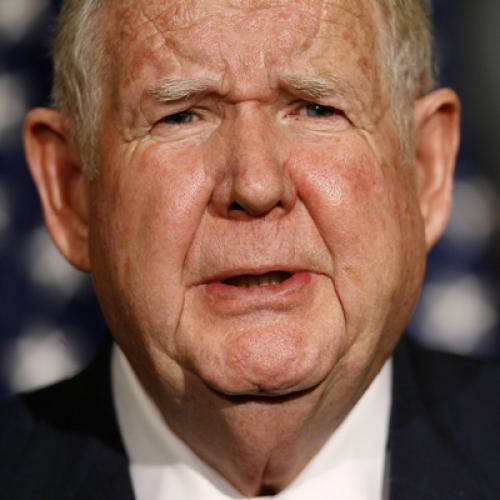 The notion that he might have to retire due to poor health was greeted with a snort: Murtha had been a Marine who, as a father of three, had volunteered for Vietnam; he was too tough to retire. “He would like to die in the House,” one of his friends and supporters told me, certain that such an event was a long way off. Murtha’s great aunt, more than one person in Johnstown mentioned to me, had lived into her 90s; and his clean living—“he doesn’t drink, except for coffee”—meant he could count on reaching a similarly ripe old age. Now that Murtha has confounded the expectations of his constituents, his obituary writers will invariably describe him as “The King of Pork.” While the term is not meant as a compliment—and, in fact, Murtha’s political and legal troubles over the last few years stemmed from that well-deserved reputation—it’s worth remembering that, to the recipients of that pork, Murtha was a hero. For the last 15 years, he steered a steady stream of federal money—by some accounts as much as $2 billion—to Johnstown and, in the process, allowed the city to escape the fate of other once-booming steel towns that were unable to survive the collapse of that industry. Indeed, to visit Johnstown today is to encounter an oasis of relative prosperity—a city that boasts glass-and-steel office buildings, a Wine Spectator-award winning restaurant, even a symphony orchestra—in a desert of economic despair. When any politician dies, especially one as long-serving as Murtha, his passing will be treated as the passing of more than an individual. And this is already being described as the end of various eras—from the end of the era of Democratic rule in Pennsylvania’s Twelfth Congressional District (which John McCain carried in 2008) to the end of the era of the “old bull” way of doing business on Capitol Hill. But Murtha’s death also signals something more than the death of a man or the death of an era: It likely spells the death of the city he represented. When Murtha was alive, Johnstown raised myriad monuments to him—placing his name on everything from a technology park to an airport. But the city never prepared itself for the day when its honors to Murtha would have to come in the form of memorials. Johnstown’s success was not a façade, but its prosperity was as dependent on one congressman as it had once been on one industry. It was almost as if Johnstown could not bring itself to imagine—and thus prepare for—what would happen once Murtha, like steel before him, was no longer there to sustain it. And now it will face the consequences of that failure. To be sure, Johnstown will not cease to exist tomorrow. Or next week. Or even next year. After all, it took decades for Bethlehem Steel to dismantle its Johnstown operations once it decided to leave the city. But, over time, the economic forces that Murtha managed to stave off will begin to take their toll. Lacking a politician with Murtha’s seniority and powerful committee assignments—not to mention, perhaps, a politician with Murtha’s tolerance for the appearance (and perhaps the reality) of ethical impropriety—Johnstown will watch as the river of federal largesse slows to a trickle. And it will watch as the defense contractors that followed those federal dollars by locating their offices in Johnstown and underwriting its civic activities turn their attentions to the hometowns of other congressmen. And slowly, but ineluctably, Johnstown will meet the same fate as the politician who did so much—maybe too much—to keep it alive.